Social media marketing is a very effective marketing tool. Yet using it efficiently can be a struggle at times. To be on top of all your social media tasks you need to be very organized. Therefore, it is quite helpful to automate repetitive tasks. The more clicks and cross post actions automated software can do for you the more enjoyable your job will be. IFTTT is just the right tool for that. It is an ingenious way to make life easier for online marketers. In this article we will introduce you to the many ways you can integrate ”If This Then That” into your workflow. IFTTT enables you to build scripts that are called applets or recipes. These enable the triggering of an action when another one was performed. Say your post on Facebook will be automatically posted to Twitter as well. You can register for free on the IFTTT Website and start immediately. It is a huge help in automating very repetitive and somewhat uninspiring tasks. Here you can get an overview of all the possible options that IFTTT allows you to set up. The different categories let you browse through the different use cases with ease and have dedicated sections for blogging and social media management. IFTTT options are almost infinite and only bound to the limits of your imagination. Let us introduce you to a few awesome applets that will make your content distribution a lot easier. If you are regularly posting on your blog, you are going to share the blog entries to your social media feeds. Posting manually to these is no longer needed with this awesome applet. Click here for the applet. This is good for two reasons. 1. Backups are always good in case anything happens to your Twitter account. 2. It is an easy way to revisit old post and spice them up a little for later use. Click here for the applet. When posting a picture to Facebook it will automatically be pinned to Pinterest. You only have to use a #hashtag in the text body of the post. Click here for the applet. Cross posting is not always the best choice as different social networks need different kinds of content. Nevertheless, it can save a lot of time if you are planning to do it. For this application of IFTTT just make sure to stay with in the 280 character limit of Twitter for you descriptions on Instagram. Any excess hashtags you can edit in after you posted it or just use a comment to shout out all the tags. Click here for the applet. Backups are always nice to have. In addition to that you can easily post your photos and videos to other social media networks as well. Making the social media planning a lot easier. Click here for the applet for video or this one for photos. This is a cool way to engage your audience right form the start. With this applet you can send out a nice welcome message. Click here for the applet. With this applet your whole team can be enabled to contribute to the social media updates. Saving an article in Feedly will automatically save it to Pocket too. Simply open the access to the Feedly and Pocket accounts for your whole team. This way you can all look for awesome content to share together. Click here for the applet. Pinterest is a unique social network in its own right. Yet for the right business and social media marketing strategy it can be gold. With this applet you can send a tweet on Twitter whenever you like a pin on Pinterest. Click here for the applet. Social media marketing is a key success factor in any digital marketing strategy. Creating interesting and unique content is the first step. Sharing in on your social feeds to get your audience to interact with it is the second. This entails a lot of repetitive tasks that can be easily automated using IFTTT. With the right applet in place you can reduce your time posting content. Instead you can focus on the more important interactions with your followers and fans. 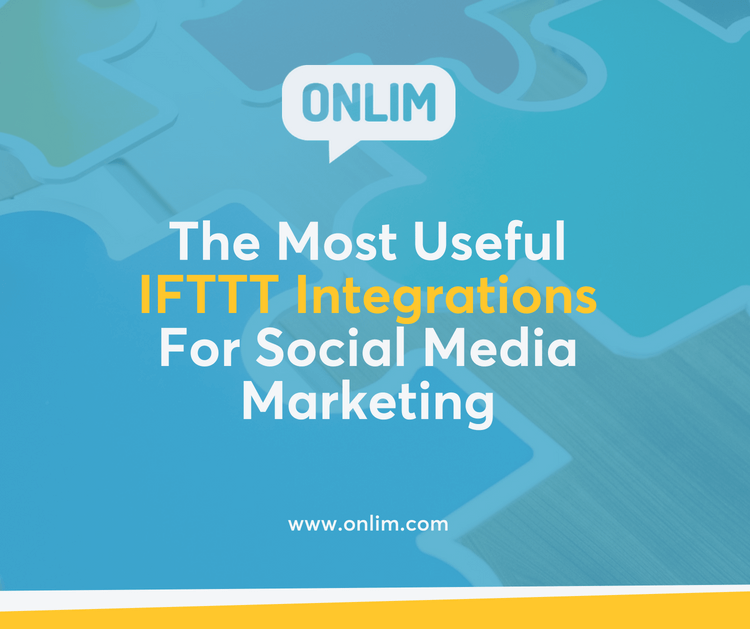 If you haven’t used this awesome tool yet we definitely recommend to give IFTTT a try for your social media content distribution. It will save you a lot of time and headaches.